(also known as ‘clear bra’) is the most effective way to protect your vehicle from rock chips, light scratches and staining. It is a thin, optically clear urethane film designed to protect the exterior factory finish. It’s most commonly applied to the front bumper, hood, rocker panels & fenders as these impact areas take the most abuse. Mr. Sparkle Detailing is proud to offer Xpel ‘Ultimate’ film. Enthusiasts recognize the product for having no texture or ‘orange peel’ appearance. It also has a self healing top coat which has the ability to repair minor scratches. This product carries a 10 year warranty against, yellowing, cracking, peeling, staining, and hazing. The Xpel DAP design software is globally recognized for providing the best fitting designs available. This software is used by Mr. Sparkle Detailing along with professional detailers and car dealerships worldwide to provide a precise fit for nearly all makes & models. All kits are cut in-house along with a professional grade plotter. In many instances, edges can be wrapped for a more seamless look. All installs are done inside the shop which allows for a controlled environment out of the elements. 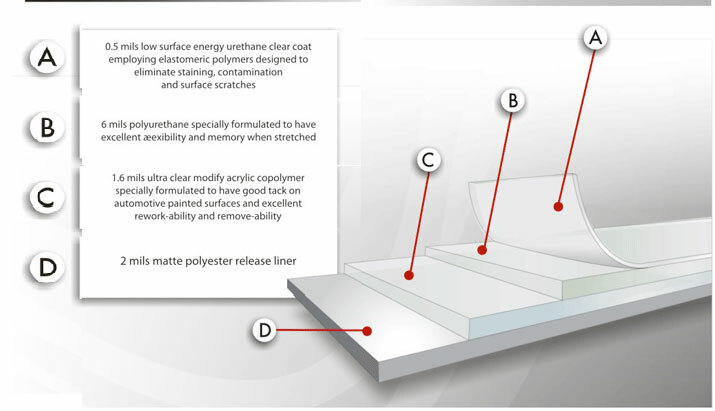 This reduces the chance of contamination beneath the film (dust, pollen, etc). Paint correction is highly recommended prior to installation as any defects (swirls, scratches, water spots) will remain beneath the film. The additional cost of correction work is based on the vehicle size, condition and expectations. At a minimum all vehicles getting film installed are first washed and decontaminated with a clay bar. This will remove any bug splatter, road tar or brake dust that soap & water alone will not remove. Installation and prep takes several hours depending on the amount of desired coverage. It’s recommended the vehicle remain at the shop overnight after installation to allow an opportunity for the adhesive to dry. The most effective way to protect your vehicle from rock chips, light scratches, love bug splatter and staining!